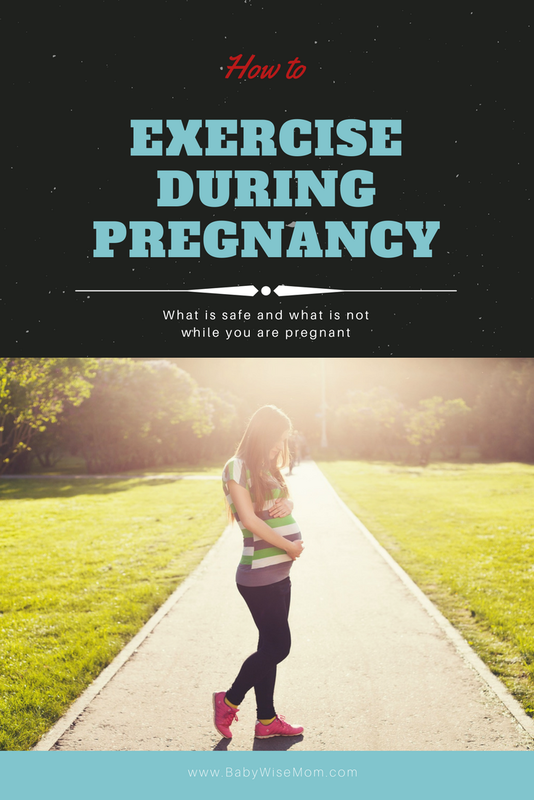 One of my biggest questions when I got pregnant this time was “What can I do for exercise? I know several women personally who I have watched do pretty regular exercises throughout pregnancy who all had great deliveries and healthy babies–so I knew it was a possibility. I had never consistently exercised during a pregnancy before. I honestly couldn’t even fathom that someone could do that. Between morning sickness and extreme fatigue, I didn’t know how you could possibly exercise. However, I had been exercising almost daily for almost two years. This is not something you can easily just give up, and I didn’t want to. I didn’t want to go back to square one in the pain I went through to build up my endurance. I had also read many times that exercise was good for you. Great! But what exercises? I decided to turn to my friend Charlotte and her blog “The Great Fitness Experiment.” She recently (recently in my mind…not terribly recently in reality, but my mind is in charge right now) had a baby and had several posts on exercise during pregnancy. One that really helped was this one: Myth Busting: Fitness in Pregnancy. And then because I am her friend, I went ahead and emailed her for more assurance. My worry with exercise and pregnancy is hurting my baby. I have lost a baby. I know the pain and I never want to go there again. Char has also lost babies, so she understands my worries. I spent the first 8 weeks working out the same as I had been–with Jillian Michaels. I love her work outs. The problem I ran into, however, was that she pushes you hard. It wasn’t working out for me–I felt like I was pushing harder than I should and I spent all day every day in more worry about losing the baby than I would normally. Yes, I know women do more intense things throughout the pregnancy. My mom was one of those women. But I felt worried, and I think part of listening to your body is listening to your “intuition” or whatever you want to call it and I knew I needed to tone it down. So I ordered Lindsay Brin’s pregnancy DVDs. She has one for each trimester that is designed to help you strengthen your body in the right places for your growing belly. She throws out lots of helpful information (like, did you know your hamstring tightens throughout pregnancy and if you are having lower back pain, stretching your hamstring can help with that?). She also encourages you to go only as far as you can go, and she gives you limits to get to. She reminds you to get water breaks and to take it easier that day if you need to. It is great for me. It is not an extremely intense workout. It also is quite long. It has been good for me, though. I also work out on my elliptical a couple of times a week. Okay, so after that long, anecdotal story, let’s get down to the bare information about exercise in pregnancy. Yes, this is a hard one. I still find it most effective to exercise before my children wake up, but once morning sickness really hit me, I found this very difficult (if not impossible) to do. I have to eat before I exercise, and then I have to sit for at least 30 minutes or that food is coming back up. Then the kids are up and in need of things. I have had to let go of what I used to be able to get done. I can’t expect to do what I used to do. If I want exercise to be a part of my day, I have to do it later in the morning. A hard thing with that, though, comes when I have to be ready by 9 AM to take children to various places, so it isn’t always happening every day, but I am still trying to work it all out. I shoot for 5 days a week, but I don’t always make it in the last 4 weeks with morning sickness. It is okay; when morning sickness backs off, I should be able to do it more. I still do it at home. There are lots of great exercises you can do. Generally speaking, you can stick with whatever you were doing before. You can maintain your weights–but not increase. Walking is great, as is yoga and swimming. The things to avoid are things that can cause falling, and during second trimester and beyond, laying on your back isn’t great. Yes, some people do things that have a high risk for falling. In Hawaii, my husband and friends were taking surfing lessons. I declined due to pregnancy, and the surf instructor and his girlfriend (both older) said, “Oh, that’s fine! Pregnant women surf all the time!” Sure, but they probably already know what they are doing. They are also obviously more comfortable with the risk. I am not–not willing to risk it. Bottom line, listen to your body. Do what feels comfortable. Do some reading on it so you know what is safe and what is not. Listen to yourself–your body, head, and heart. I would love to hear from you! What pregnancy workouts do you love? What activities? Any DVDs that you loved? Share share! I have had two babies and lost one at 12 weeks. I worked out the entire time with both of them, and it was awesome! I did all the same things I did before and just tried to listen to my body, like you said. Great advice! I've had to have c-sections but I know for a fact it helped me drop weight quicker after they were born, and when I started working out again it wasn't as hard. Good job!! !Oh, I love Jillian Michaels and Chalean Extreme DVDs. Love going to the gym and being outside. Also love the new app for smartphones called Nike Training Club. It's like having your own personal trainer! I worked out through out my pregnancy and really saw that it helped me not gain as much weight and also made me feel better. I was working out before pregnancy because it is just my outlet for "me" time. I did spin classes till 37 weeks at the gym, and when moves got to difficult I just backed off. (The teacher was also pregnant and just a few days behind me!). Also, I did the elliptical and light weights. When I got to 37 weeks, I mainly just did a lot of walking and swimming. I live in the south and had a very hot pregnancy, and swimming actually helped make my feet less swollen and literally took the extra water weight right off. I have had three pregnancies. We lost the second at 8 weeks but it was unrelated to anything I had or hadn't done. With the first two, I didn't really exercise.With my 3rd pregnancy, I exercised almost daily. Mostly this was because the "childcare" at the gym was really cheap, my son (who was 2.5 years old) LOVED it and loved playing with the other kids there, and I took it really easy. When I was at my sickest, I would just stretch and do kegals and call that my "exercise" for the day. As I felt better, I did more elliptical and light weights. The back exercises and leg press completely kept me from ANY back pain. I delivered a healthy baby with a quick labor and 17 minutes of pushing just a week before her due date. I don't know if the exercise was related or not, but I do know that I enjoyed the exercise during the pregnancy because I kept it very low-key, and I had more energy every day because of it. I recommend you looking into Hypnobabies. It is such a great way to get in tune with your body and your baby! It helps with all sorts of worries during pregnancy. Plus, it makes for a super comfortable birth! Did it with my first baby and had a wonderful pregnancy and pain free labor/birth without using drugs! I ran regularly (up to 10km) through both of my pregnancies as well as swam, spin classes and aerobics. Exercise is a HUGE part of feeling good during pregnancy, but there are two main things – 1. listen to your body, if it doesn't feel right, stop and 2. pregnancy is not the time to start something new and push yourself. If you're already a runner, then run. If you're already a swimmer, then swim. If you want to begin some light exercise to help during pregnancy, great. But it's not the time to set records, win races or push your limits.But believe me, your baby will always thank you for keeping your mind and your body healthy during pregnancy by exercising. Good luck! Swimming is also very good during pregnancy. Thank you everyone for your comments so far! Lots of great ideas! Just had to say that I heart Lindsay Brin! I've used her per and post natal DVDs and love them all! Keep up the great work! It makes for such an easier pregnancy, labor and delivery! I love doing yoga while I am pregnant. That is the only exercise I did during my two pregnancies and I think it helped a lot with being prepared for labor and delivery. I didn't need any drugs and yoga breathing was definitely what got me through!I likeJennifer Wolfe's Prenatal Vinyasa Yoga & Short Forms DVD. It has workouts varying in length from 15 minutes to 75 minutes and she shows how to do the poses for each trimester of pregnancy.Love your blog by the way! Thanks so much! This is a great post. I know a lot of people will benefit from it. When I was pregnant the first time, I felt very cautious (plus very tired, and working full-time) so I didn't do anything! I am sure that was not optimal for my health and weight gain but it all worked out fine in the end. With my second, I did really gentle exercises. (I feel really cautious when pregnant.) I did a really easy prenatal yoga DVD sometimes, and walks, and was generally more active due to already having a child. Don't know if it was related to exercise or not, but I gained a little less with the second baby, had a tiny bit bigger baby, and ate healthier.I like what Katie said about doing something, even if it was a day when she could do very little, and calling it her exercise for the day. 🙂 I'm sure it helped. Thank you to everyone else who gave advice! Katie, I would suggest you look into the posts on "optimal waketime" He might be overly tired. Also, do you swaddle? He might like the swing because it cuddles him.